How robo-advisory platforms are shaping up a new era of investments in stocks? A robo-advisor is a platform that uses complex algorithms to research and analyze market trends to advise investors accordingly. Robo-advisors have brought with them the new possibilities in financial consultancy and advisory. With more and more people fascinated with AI (Artificial Intelligence), robo-advisors have been successful in attracting investors’ attention in a very less time. But how reliable can a robo-advisor be with something as personal as your hard-earned money? To answer this, you need to first know about what a robo-advisor is and what it is capable of doing. So here’s a quick guide to help you with it. A robo-advisor is a platform that uses complex algorithms to research and analyze market trends to advise investors accordingly. With minimal effort from the investment managers, the software calculates data to generate reports on the type and duration of asset or security to invest in. To avail robo-advisory services, all you need to do is give your inputs. These inputs include the kind of services you would require, your expectations, risk appetite, and financial goals. The robo-advisor then runs complex algorithms and obtains the positions and securities you should invest in and the duration for which you should make the investments, based on the inputs you would provide. Robo-advisors are 100% analysis-based and do not rely on decision-making based on any gut feeling or emotions. Why are they better than others? Robo-advisors are considered better than most advisory services available currently. Here are a few reasons why more and more investors seek robo-advisors over other options in the market. 100% research-based: Robo-advisors are fully research-based services. They use a number of parameters to conduct a deep analysis before concluding which security you should invest in. The robo-based advisory is emotion-free, which makes the prospective losses driven by the emotions of greed and fear fall to a larger extent. Extensively analytical process: Robo-advisors analyze the securities under different parameters by feeding inputs of a different set of combinations. The process involves looking into multiple dimensions. This eliminates the possibilities of leaving out any parameters, which generally happens when the analysis is made manually. Complex algorithms ensure better precision and accuracy in terms of decision-making and avert any loopholes for slippage. Charge lower fees: The maintenance of software is quite less as compared to hiring experienced fund managers. Thus, robo-advisory services charge a lower fee, which helps you save some money otherwise given as hefty fees. 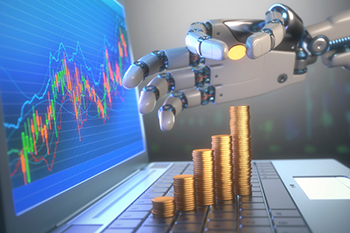 Offer a range of services: Robo-advisors offer a variety of services which can be useful in catering to a large group of investors based on their budget, risk appetite, and the term of the investment. It is this versatility which makes robo-advisors a good go-to option for consulting. It is these qualities along with the extensive use of algorithms which are backed by modern technology that allow newer possibilities in the advisory sector in an attempt to make analysis more precise for the customers’ benefit. Thus, robo-advisors have brought in a new era in investing, where investors rely on technology and data instead of gut feeling.